| Healthy Living Articles | Food and Meals | Nutrition Myths: Is Canned Food Bad for You? Grocery store aisles are lined with canned foods and it can be tough to know if they’re a healthy choice. We’re here to give you the rundown to make your life easier! It’s Thursday night and the refrigerator is bare—where did all the food go? The kids are hungry, and you have minutes to prepare a meal. After reading more about healthy options for frozen foods, you check the freezer, and there isn’t a single option in there. Don’t fear! Head to the pantry to find several sources of low-cost proteins, including creative meat alternatives for picky children, and meal staples that can be transformed into quick and tasty meals from canned foods for your family. Canned and glass jarred foods are unhealthy. Canned or glass jarred food can be healthy. Beans, chicken or canned fish are proteins that you can pair with artichokes, roasted peppers, and even mandarin oranges to pull together a healthy meal! 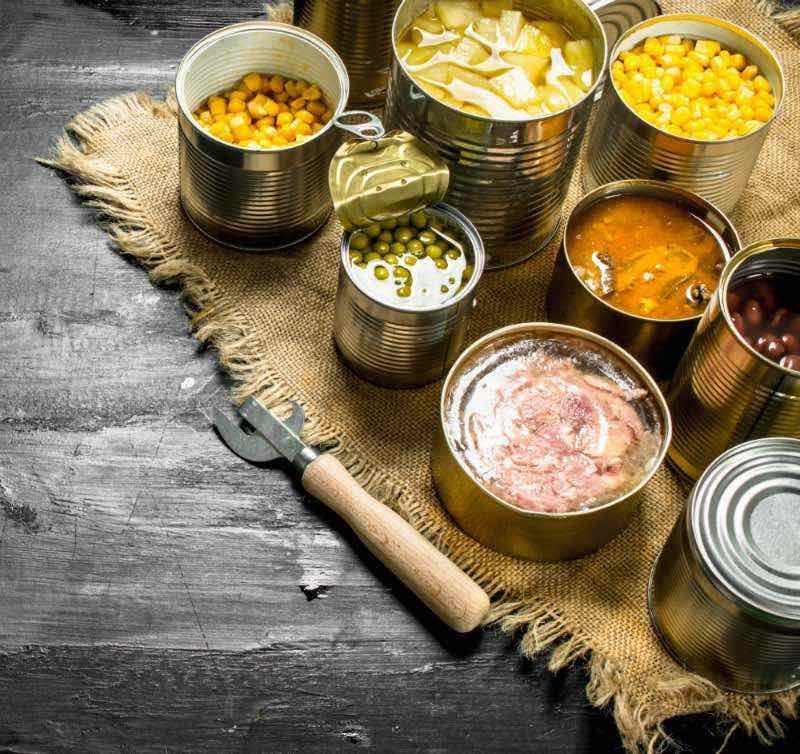 Keeping canned foods in stock is a great idea for those days when you are completely wiped out! You’ll spend less than a minute preparing your protein option (just open the can!). Grab a can of salmon or a jar of marinated mushrooms and voila! Out of fresh protein for dinner? Head to the pantry for canned white meat chicken and mix in frozen California vegetables in this easy vegetable chicken casserole. Want an easy fish dinner? Turn to canned tuna or salmon, mixed with hummus and mayonnaise to make a savory sandwich or salad topping—not to mention they are a great source of healthy fats. You can also mix either one with egg, breadcrumbs, and fresh herbs, and bake in muffin tins for easy fish patties. Serve over fresh baby greens or frozen cooked mixed greens mixed with cumin, onion and garlic powder for a delicious and simple dinner. They make plant-based meals easy. 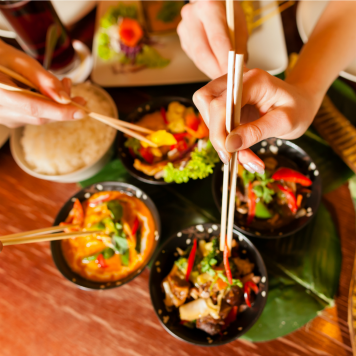 Vegetables and vegetarian proteins are filled with phytochemicals that help fight disease and keep you healthy. Plus canned fruits and veggies help boost fiber intake. Pick up some canned chickpeas, white beans, black beans, refried beans or corn to maximize your nutrient intake. Mix canned corn with canned black beans and a jar of low-sodium salsa. Serve with a salad, baked chips, shredded cheese, guacamole, and you will have a meal in minutes. This is an easy, low-cost choice for meatless Mondays. A mixture of canned beans can also be used to make a quick bean chili, perfect for a weeknight meal. Keep in mind that plant-based doesn’t always mean meat-free. You can cook ground turkey with herbs and chopped mushrooms in bulk and freeze it in smaller portions so that when food runs low, you can defrost your desired amount and mix it with canned chili or beans for a quick meal. Serve refried beans with salsa and cheese on toasted corn tortillas for tostada night. Rinse the beans before using to reduce the sodium content by 40%! Here are 10 other easy high-protein low-cost meals to try with your rinsed beans! Busy, tired or out of fresh or frozen fruit? 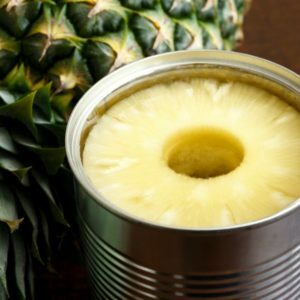 Canned fruit like pineapple in its own juices, pears or mandarin oranges make a delicious dessert. They make it easier to be thrifty at the end of the week. To stretch your meals throughout the week, plan one meal that uses canned protein (like tuna, chicken, salmon, or beans) that you can enjoy on your last day before heading back to the store. By delaying going to the grocery store, you’ll save money and cut down on food waste. You don’t need a lot of creativity to make a delicious and nutritious meal from canned and frozen foods! Final things to keep in mind. Look for sodium free or low-sodium cans. Opt for proteins canned in water. Look for any dents in the cans. If you see a dent, find another can to prevent the risk of botulism. Choose BPA free cans – BPA has been linked to heart disease and other chronic diseases. Next time you head to the grocery store, purchase a few extra cans of your favorite items to have on hand for emergencies. You’ll reduce your stress by knowing that you already have the ingredients for an easy meal in your cabinet. The best part is, you won’t feel bad if you don’t use them right away! Now it’s time to get cooking with your new found appreciation for canned foods!